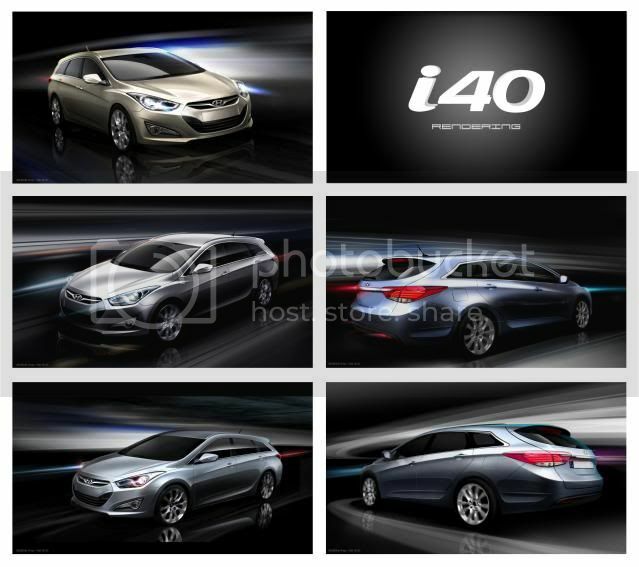 Hyundai has lifted the cloak off the all-new i40 that will debut in Geneva soon. 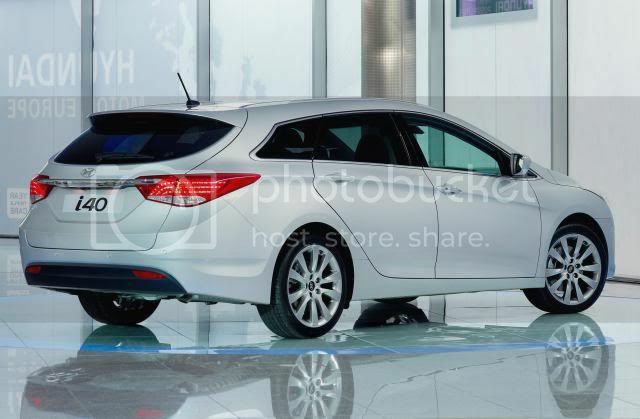 The i40 features a design based around the fluidic sculpture; the trademark split hexagonal grille, wraparound headlights w/LED daytime running lights (DRLs), and bonnet ceases. A narrow silhouette and elongated roofline will complete the look. Inside, owners will be treated to premium, soft-touch plastics throughout with class-leading head, leg, and shoulder room. Luggage space is rated at 553 litres, but flip-down the rear seats and you’ll find 1,790 litres of load capacity. The i40 wagon will be the first vehicle in its class to offer ‘modern premium’ features to sway customers from Audi and BMW, by offering quality that undercuts competitors. 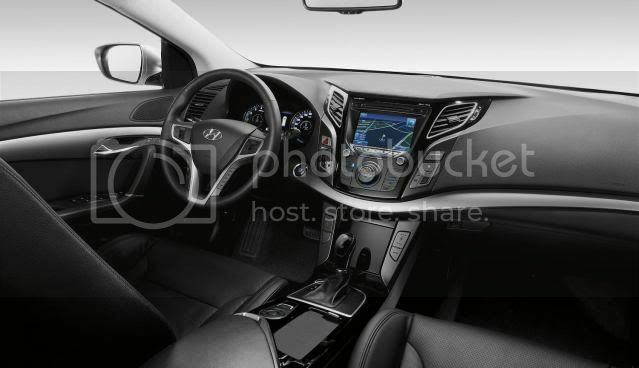 Hyundai has a desire to offer ‘modern premium’ in its car with “all the credentials of an Audi but an affordable price,” managing director, Tony Whitehorn said. Standard equipment will include electric parking brake, leather steering wheel w/cruise control, Bluetooth, rear parking sensors, lane assist system, ESP, and x6 airbags. Mid-spec and flagship models will arrive with heated front and rear seats, heated steering wheel, bi-xenon headlights, panoramic glass sunroof, and a satellite navigation system. Prices are expected to start at around £18,000. Two engines will be available from launch; a 1.6 GDI 138bhp petrol, and a 1.7 CRDi with either 113bhp (111PS/84kW) or 134bhp (132PS/100kW). A Blue Drive variant will be offered at a later date, returning 65.7mpg (4.3l/100km) and emitting 113g/km. After launch, three variants of a 2.0 litre GDI and CRDi diesel will be available, developing upto 170bhp (168PS/127kW). European sales start in Summer, with UK sales starting in July with the saloon arriving later on in the year. 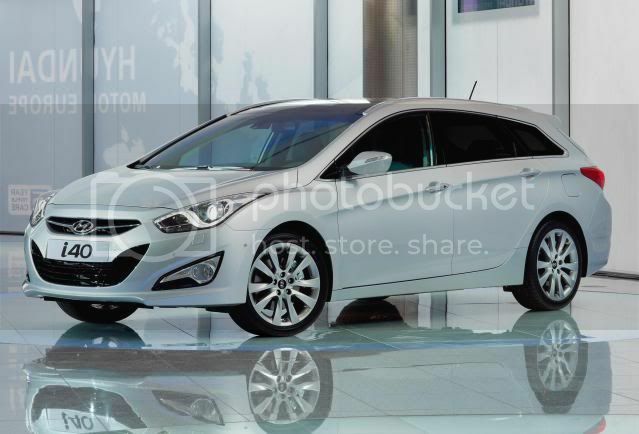 The i40 will come with a premium quality interior, standard equipment list and a range of fuel-efficient engines. A 4dr coupe will follow in early 2012.